Live Puzzle! Forest Animals, developed by Kidoteca, is a fun learning tool using the classic jigsaw puzzle concept with Animals. It is geared towards preschool and kindergarten kids, but is great for kids of all ages. When you first start the app you will want to check out the settings tab. It will allow you to choose from 10 different languages. Next hit play and you will have the option choose from 4 different difficulties. There is a hidden difficulty mode that you can unlock when you complete all the puzzles on the hardest difficulty. Good Luck! You will notice that each difficulty will have a handful of puzzles you will need to complete in order to get to the next one. The sound effects, music, graphics, and animations are all very well done. 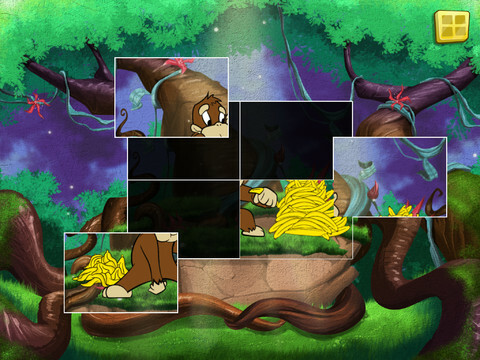 Each puzzle piece is animated and you will want to complete the animation so you can see the entire animation as one. Once complete it will also show the name of the animal so children can learn to read at the same time. You will also get to hear the sound that the animal makes. This will allow children to associate the name, image, and sound of an animal and help them learn. Kitoteca is a great company when it comes to learning games for children. We have already reviewed a handful of their apps and they have all been great. Live Puzzle! Forest Animals is currently FREE on the App Store. There is no advertising, no in-app purchases and no data collection. All your information is save and this app is absolutely FREE! 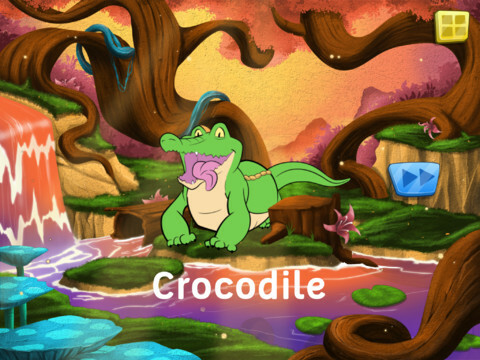 If you love puzzles and your kids love puzzles, you should check the FREE app out.